Will My Dumplings Get More Airy As They Cook? How Long Are Tamales Supposed to Cook? A bowl of dumpling soup. 1 Will My Dumplings Get More Airy As They Cook? Dumplings are an easy way to turn a soup or stew into a full meal. If you enjoy cooking in your Crock-Pot, you can even prep dumplings right in your slow cooker for a one-pot-meal solution. 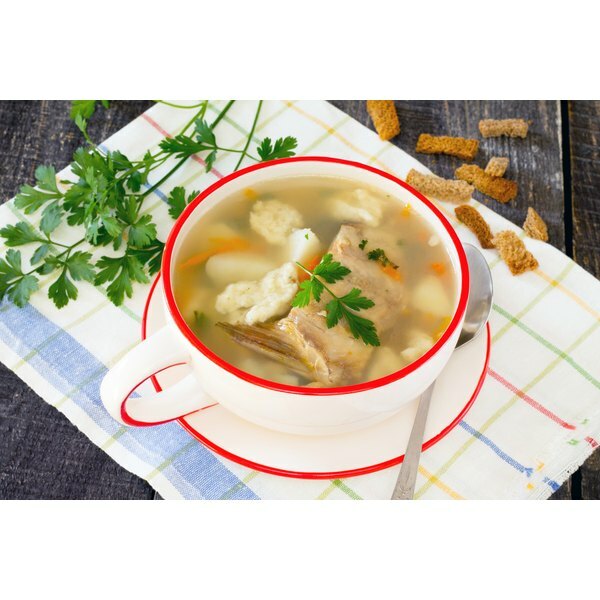 Try dumplings with your favorite soup or stew, ranging from classic chicken soup to a rich and flavorful goulash. While biscuit dumplings are a classic, you'll find that cornmeal dumplings or noodle-style dumplings also work with this Crock-Pot cooking method. Prepare the soup in the Crock-Pot. Allow it to cook on low or high heat as indicated on your recipe until about 40 minutes before you plan to serve dinner. Stir 2 cups of biscuit mix and 2/3 cup of milk until a soft dough forms. Remove the lid and drop the dumpling batter into your soup or stew in generous spoonfuls. Cover the slow cooker and cook the mixture on high for 30 to 40 minutes. 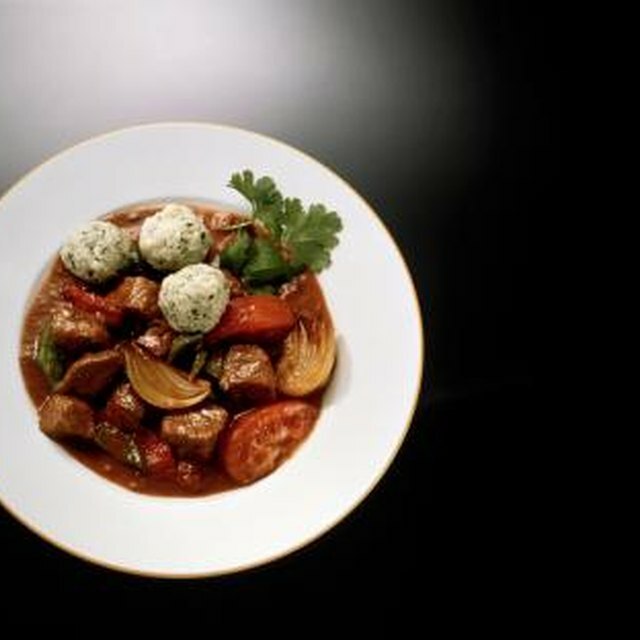 Serve the hot soup or stew with dumplings on top. Take a shortcut with refrigerated biscuit dough. Open the tube and cut each biscuit into halves or fourths before adding biscuit chunks to the simmering soup. Add herbs or cheese to your batter, or opt for a cornmeal dumpling instead of a biscuit-style dumpling. If you opt for rolled dumplings, follow the same Crock-Pot cooking instructions; however, you may need to add a bit of additional flour for rolling.